This stunning bush variety is a continuous flowerer so you can enjoy its large, unusual violet-coloured, highly scented flowers all through the summer and into autumn. 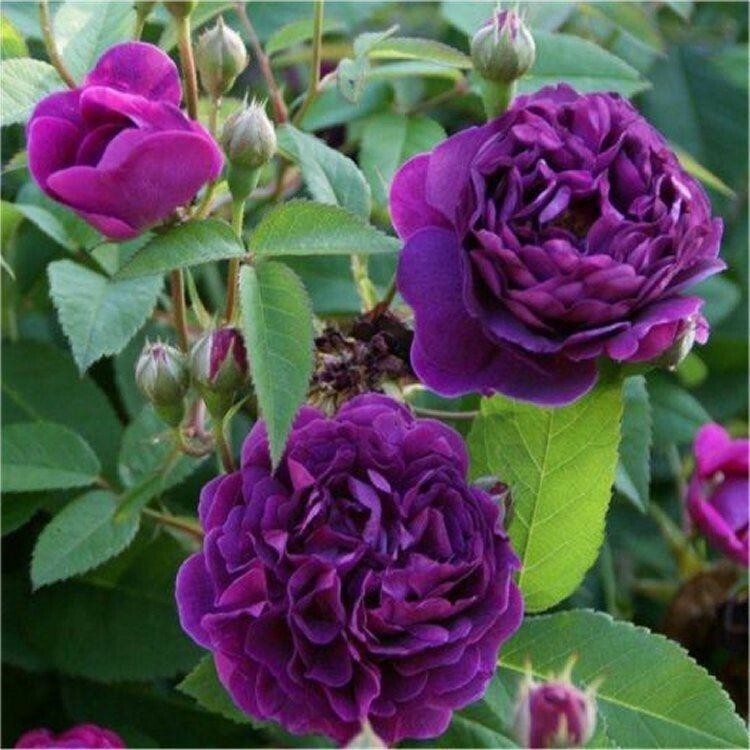 Rose 'Reine des Violetta' is fast to establish with good, healthy stems and deep green leaves. It produces its flowers on strong stems, making it a good variety for use in floral bouquets. Fully hardy and will tolerate fairly poor soil and a bit of shade. An all-round good garden variety reaching up to around 4-5ft.